Matt Dillon is a Solution Architect with ZapLabs, but his career with Realogy started about a decade ago. I sat down with him to understand how he got to where he is now—and what he's learned along the way. Tell me about your career trajectory—what led you to ZapLabs? I’ve been with Realogy for 10 years this year. I started in IT where I was mostly responsible for combining the data feeds between Realogy brands and Zillow and Trulia, before they merged. It was my job to ensure that what the listing data sellers and buyers saw was showing accurately on the websites Realogy brands syndicate to. Later, I moved over to ERA, one of the Realogy brands. I worked closely with brokers to help them become profitable and grow through use and adoption of ERA’s unique tools and services. I was then promoted to become a Brand Ambassador, where I was on the front lines daily with agents, managers, and brokers, assisting them in their growth and profitability goals—with Realogy as the vehicle to get them there. What do you do as a Solution Architect? Before I started in this role, I’d never heard of a Solution Architect, but it is such an important role. As Solution Architects (SAs), we meet with executive ownership of the largest brokerages from some of Realogy’s most iconic brands. During these high-level consultations, a SA plays several roles. First, we are a sounding board, empathetically listening to our affiliates’ frustrations and pain points with regard to Zap. We take this feedback and share suggested enhancements directly to our product team in Emeryville, giving voice to the stakeholders using the platform. The work this group has done has influenced the development of future updates. We also work with these large brokerages on architecting roll out and engagement plans with the hope of evangelizing Zap and driving adoption. How has the real estate landscape changed—and where does Zap fit into the evolution? Thirty years ago, if you wanted to buy or sell a house, you had to visit a real estate office. You were with your clients from the beginning of their journey until the end. With the advent of the internet, people can now begin the home buying process without involving an agent until they have found the homes they are interested in seeing. 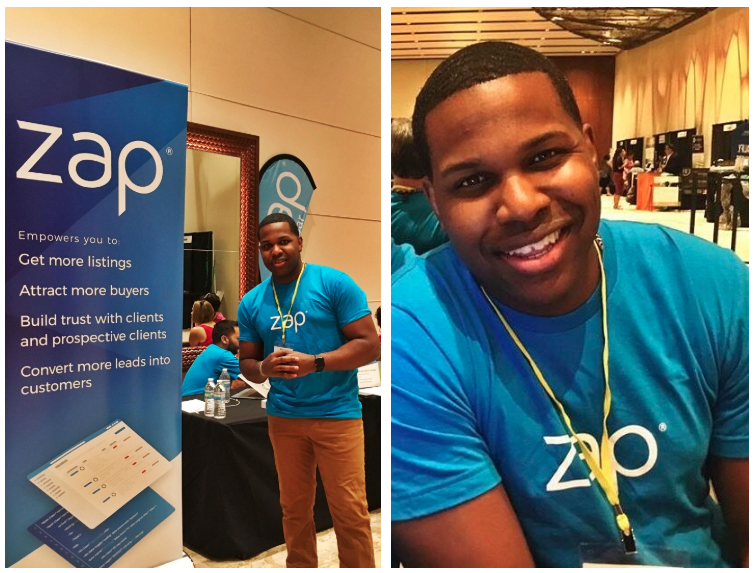 Zap puts the agent back at the beginning of that process, allowing agents to know as soon as their SOI is starting their search. While statistics show that the home buying process starts well before a buyer contacts an agent, Zap ensures your sphere has a better chance of staying with you throughout their home buying journey. How does one do real estate today? What's a typical “toolbox” look like? There are hundreds of companies who are creating thousands of apps an agent could choose from to help them do business. But at the end of the day, real estate is a relationship business, and technology can never replace that. A NAR statistic I read says 89% of buyers last year recommended their agent to friends and family. What that tells you is how you manage your relationships really can have a huge impact on your business—positively or negatively. Agents increasingly understand how pivotal a CRM is to helping them manage their business. Fortunately for Realogy agents, they have a powerful one in Zap.